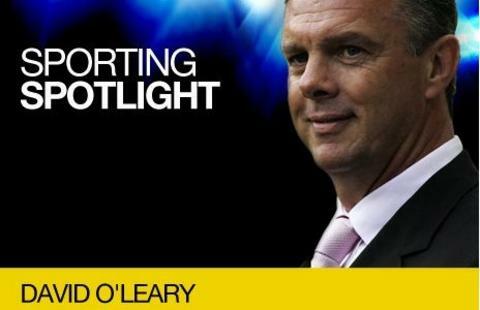 Former Leeds boss David O'Leary on the Elland Road club's chances of making a return to the Premier League, football management in the Middle East and memories of signing Rio Ferdinand for a British record transfer fee. What do you fill your time with these days? I travel around an awful lot - Scotland, Ireland, North Yorkshire, all in a week. I do planes and trains and tend to cover the miles. It's not purely football-related, but because I have been in football you get asked to do various things. I could be playing a round of golf, attending a dinner, working with business. How do you think Leeds are getting on this season? I haven't followed them. I hope they do well and they win. I run into a lot of Leeds fans who are always fantastic to me, but I couldn't give you an opinion. I haven't seen a match. How can Leeds get back into the top flight? Like anybody it's about acquiring good players, good enough to get you out of that division. Once you're out it's a different ball game. Leeds' present manager [Neil Warnock] seems to be a man who has a forte of knowing knowing how to get teams out of that division. I hope he succeeds with Leeds. It's a great city with an unbelievable fan base. Leeds is a big club which dominates a city. If the team's doing well the whole city looks forward to the next game. What was the standard of football like when you were managing Al-Ahli in the UAE? It wasn't great. I thought my mission was to go out there with the team that had finished nearly at the bottom of the league and implement a three-year plan to bring professionalism and structure. I hoped that, if we started to be successful, other teams would see it and would take some of the things I'd put in place on board. But after a year I was told to leave. It did come as a shock, because I thought people there knew of this three-year plan. Do you regret it? No. It was another managerial experience, to go out there and see a new way of life and new culture. I met lovely people and it was a nice experience. In a way, the more I got into it the more I wanted it to succeed because I could see how much you could improve things. What do you think about Qatar as the location for the 2022 World Cup? I'm totally amazed that they got the World Cup. Imagine the scale of a Leeds or a Manchester with all these stadiums built in a ring around the city - that's what the World Cup is going to be like. And at that time of year, with the heat, it's going to be amazing to see how they do it. They have their own Gulf Cup out there. It's just like the Euros, but they have it in January because that's the best time to play it. Who is the best player you've managed? A fella that springs to mind straight away is Rio Ferdinand, who I thought was really top-class when I saw him playing for West Ham. We had Lucas Radebe retiring, and Leeds asked me to recommend somebody who could come in. I said Rio. If it was up to me, when West Ham said £18m, I would have said no. I said at the time that the top end would be around £10m. When the deal was completed and I was informed it had cost £18m… well, I'm glad the club did it and not me. Messi or Ronaldo? That's a hard one! I like Messi as the complete team player, more so than Ronaldo who has to be caressed. Messi is quieter, with a low profile. I think Messi doesn't want the limelight whereas the other fella does. But I can't separate them, those two wonderful players. Whose results do you listen out for? I always hope Arsenal do well, and I look for Leeds too. I look for Manchester United because they play the game the right way. They buy the right players and go out home and away trying to impose themselves on other teams by trying to score goals. What was the highlight of your playing career? Playing 20 years at Arsenal and breaking the all-time appearances record by featuring in 722 games. I remember the special night when we went to play a great team at Anfield to win the league in 1989. On an international basis, the penalty kick I scored against Romania at the 1990 World Cup was special too. And a low point? I suppose the most disappointing thing was getting the sack from Leeds United. I'd finished the season and we'd got into Europe. There were 35,000 people applauding and thanking you for a good season, then three or four weeks later the club said they wanted somebody else in. That was a disappointment. Do you see the point of Twitter? I haven't got a clue about it and can't stand it. I can't see the point. I wouldn't do it as a player or a manager. Who will win the title? I think it will be Manchester United. David O'Leary was speaking to BBC Sport's Jimmy Smallwood. Read more on Where now for O'Leary?